McAlister Auditorium - Productions Unlimited, Inc. | Productions Unlimited, Inc.
As the first building visible upon entering the Furman University campus, McAlister Auditorium is a prominent central point of the university. 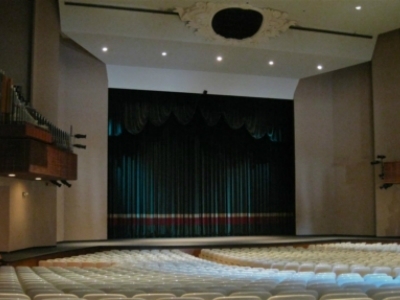 This holds true for its functionality as well; with just under 2,000 seats, the auditorium is a fulcrum of creative and intellectual activity. The venue accommodates productions ranging from dance recitals and orchestral concerts to political rallies and guest lectures. Needless to say, such a multipurpose facility calls for theatrical systems that yield first-class versatility. Productions Unlimited, Inc. had the privilege of helping Furman accomplish this goal. Our work in McAlister spans several years, beginning with the shell rigging in 2003. 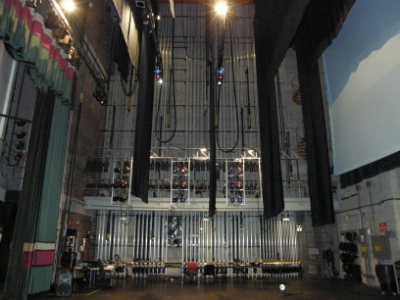 We replaced the conventional counterweight rigging for three orchestra shell ceiling panels with line shaft hoists: a more efficient and user-friendly alternative. Some years later, the folks at McAlister called us back to continue our rigging handiwork. Their existing cast iron, wire guide arbor counterweight fly system was antiquated and unsafe. 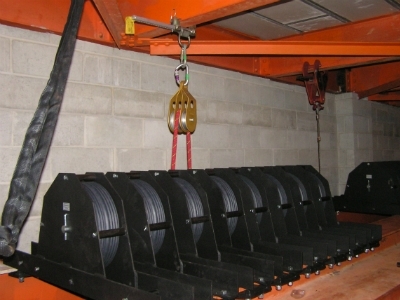 We removed this system and installed a J-bar guide counterweight rigging system from H&H Specialties. 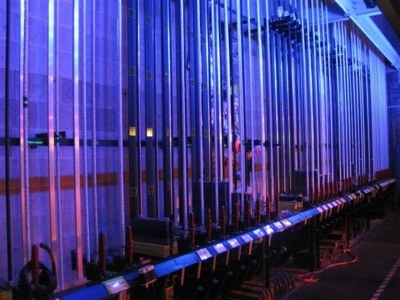 We installed 33 line sets, four electrics, and two side ladders. We were later pleased to be given the opportunity to update these side ladders with two ETC Prodigy Hoists, allowing for greater functional versatility and control. 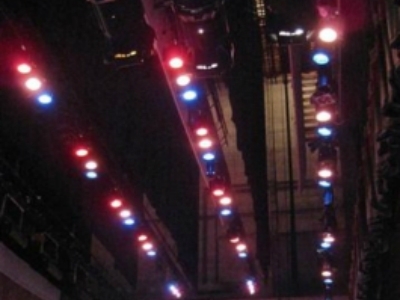 After the rigging system replacement, our next big project was the design and installation of a new theatrical lighting system. McAlister’s emergency transfer system for the house lights was outdated and unreliable. We removed it and in its place installed an ETC 6-circuit discreet feed Emergency Lighting Transfer System. 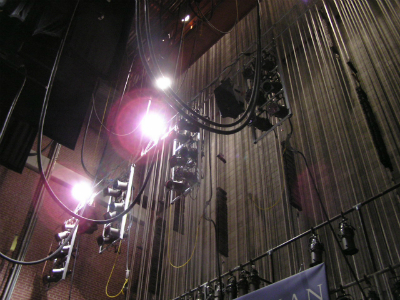 Additionally, we upgraded the module in the house dimmer rack, converting it from 50 Amp dimmer modules to 20 Amp dimmer modules, and we re-routed the lobby lighting circuits to the house dimmer rack. A programmable touchscreen control station now functions in place of the previous light switches. 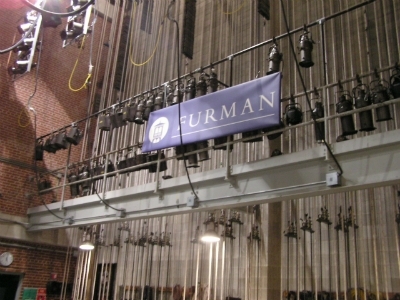 Furthermore, to supplement Furman’s reputation as an exemplar of sustainable building, we installed daylight harvesting sensors in the auditorium’s lobby. The sensors evaluate levels of ambient light present at various times of day, providing data that allows users to program higher or lower run time and lamp intensity relative to the amount of sunlight illuminating the space. 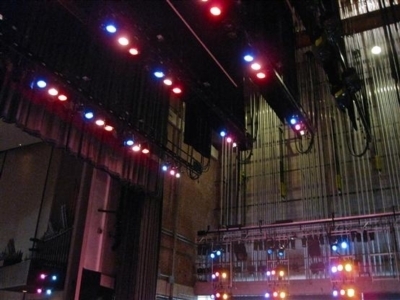 For the stage lighting system, we provided four ETC SR48+ dimmer racks, thereby establishing 384 theatrical circuits, and we replaced all existing electrical distribution equipment. We brought their processor up to date, moving from ETC’s Unison Legacy System to the new ETC Unison Paradigm system. Finally, we installed a complete ACN control network for lighting control, as well as new power distribution and 200 Amp and 400 Amp company switches.